Central Vacuum Systems of the Pacific began in Hawaii in 1984 and has pioneered the built-in vac industry throughout the state. 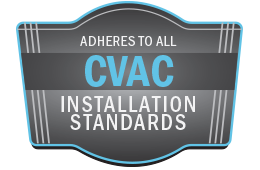 Many central vacuum dealers have come and gone in Hawaii, but Central Vacuum Systems of the Pacific has been here for over 30 years because of the high-quality standards we have held for all of our built-in vacuum installations. The system we install in your home today is the result of years of product testing and improvements. Our systems have earned us a reputation for quality, long life, and reliability whether they are installed in a home, a smaller commercial location, or even unique aerospace and industrial applications. We also service all makes and models of central vacuums, and offer replacement hoses, tools, attachments, inlets, and filters. We are a member of The Better Business Bureau, The Building Industry Association of Hawaii, and The National Home Builders Association. Some of our clients include: Honolulu International Airport, Castle & Cooke Homes Hawaii, Schuler Homes, Maryl Pacific Constructors, Avis Rent-A-Car, Theo Davies Body Shop, and many others. There is a better way to vacuum and Central Vacuum Systems of the Pacific can show you how. Call us today toll free: 1-800-755-0123. Why Central Vacuum Systems of the Pacific? Central Vacuum Systems of the Pacific, your one-stop source for all your central vacuum needs!